On 21 February 1920 Imperator made her first voyage from Liverpool to New York. 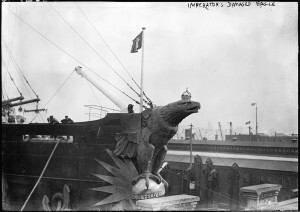 The ship continued to serve this route, but Cunard officials decided to change her name to Berengaria. 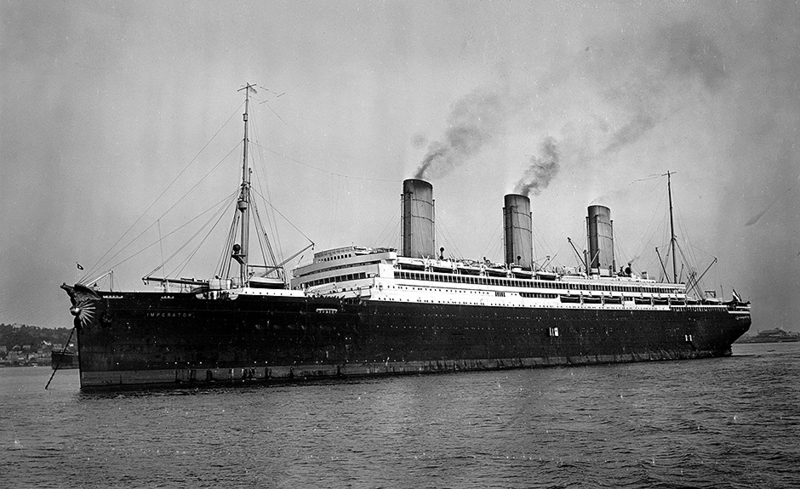 Between 1920 and Queen Mary’s arrival in 1936 Berengaria was, arguably, the gem of the Cunard fleet. She was also a technology trendsetter. In 1937 and 1938 Berengaria was equipped with an experimental mechanical television system that allowed passengers to talk and see relatives on land. Advancing age and safety concerns (spurred by a several fires) eventually led to Berengaria’s demise. She was withdrawn from service on 23 March 1938. For the next few months Berengaria lay idle in Southampton. On 19 October 1938 it was decided to send the fading relic of Imperial Germany to the breakers.